Explore the Thai-Chinese route in Bangkok. From temple, street food, to night market. Enjoy local stories about the Thai-Chinese community in Bangkok as well as nightlife in this city that never sleeps. Start our Bangkok Chinatown and Night Food Tour. Walk to Tian Fah Foundation Hospital, which is built by 6 Thai-Chinese. See Bohisattva Guan Yin image from China. Go to Bangkok Chinatown (Yaowarat), enjoy full of street foods, desserts and drinks. Take a taxi or a private car to Asiatique The Riverfront. The riverside community mall was once an important international port and now it's transformed into one of the most popular nightlife spots in Bangkok. We can shop, eat, and drink here. End of our Bangkok night tour. 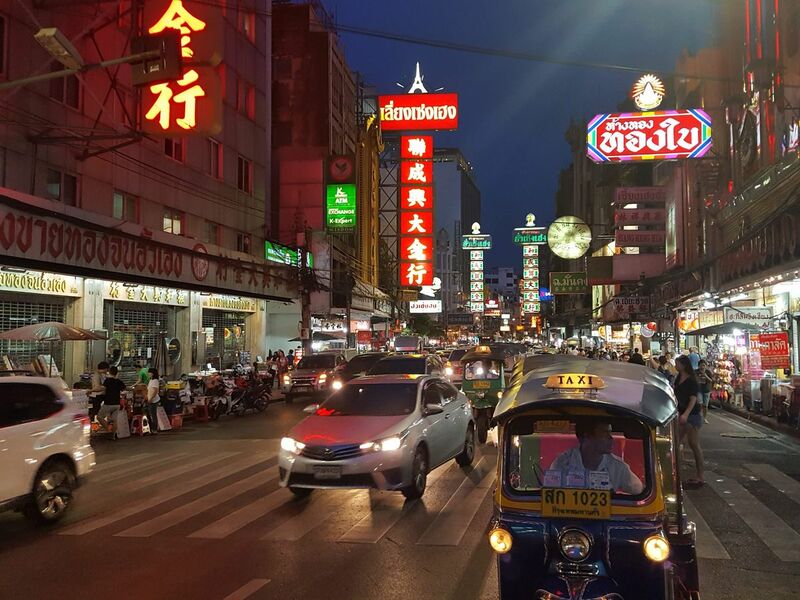 You will get not only to have night life in China Town but also get to know the previous time of Thai-Chinese community since Bangkok was founded. And also get to meet the venerated of Thai-Chinese. Excellent day trip from Bangkok. ‘Boat’ was an excellent guide with great knowledge. He was very friendly and informative. Perfect trip around stunning historical ruins. Boat was my tour guide. Very professional and knowledgeable. Would not have done this alone without a tour guide. Food choices were fantastic. Would recommend this tour to anyone.